Before making that next blog or the next step in your blog, stop and learn about the value inherent with an intelligent site link structure. This has been effective for quite a few years now, and any serious blog that is doing well will have them. We should have an effective internal linking in place on our blog for increasing user engagement, page rank and search engine rankings for linked pages. If you are new to making blogs, then you need to know about site maps and why you should use them. A site map is basically what it says, it is a map, but it is a map with links on it which will be helpful for your internal link structure.Sitemaps are not only helpful for your blog readers but also gives you a way to link to your website important pages. So having an HTML sitemap allows creation of links for all targeted pages on a blog. We used to create XML Sitemaps for faster crawling on search engines. And in case you don’t know how to create sitemaps for your WordPress blogs, there are free plugins available to help you with the same. You can refer the below suggested posts. Above just covers the importance of Sitemaps for . None of the tool listed above will be of use to you, if you are using Blogger as your blogging platform. You should be using related posts towards the end of your blog posts for your readers so that they can get more information or related information about the topic they were looking for. Having related posts section will help you get better engagement from your blog readers which means lower bounce rate and help you create lots of natural internal links within your blog. If you are using a WordPress based CMS, there are plugins available to help you with adding the related post section on your blog. And if, your CMS is not allowing the same, you should manually create links for related post towards the end of your blog posts.. 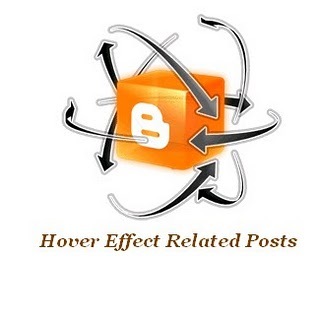 If you are using Blogspot, read the posts titled add related posts in blogger to add related posts in your blogspot blog. Lots of bloggers use to show their popular posts in their blog sidebar, footer section or as slider in header section. This is done intentionally to send more back links, traffic to some of popular or most targeted pages on a blog. There are plugins available in WordPress for showing popular posts. And if you are using other blogging platforms, you have to check their feature set and if not available, will need help of an expert in doing the same. We use a 404 page to showcase an error page for non-existing requests from users on our website and search engine bots. So what we can do is add a list of most popular posts, categories or pages of our choice that we want to showcase to our blog readers to help them with finding the content they were looking for on our blog. You can show links for some of your targeted pages on your blog for those readers who go down while browsing your blog content. Lots of Internet marketer’s even use to link to some of their promotional pages using the seo-optimized anchors in footer section. So if you got some unused space in your blog footer, fill that up with some relevant pages that your blog readers might find interesting. While writing your latest post, you will find that you had already written about a particular topic you are covering in your latest blog post, so you should link to that older post from your latest post. Suppose your current post has a mention of Panda Update and if you already had written a post around Panda Update from Google in past, you could link to that post from your current post. This way, you will keep on building some internal links for your older posts from your latest posts and you will also be able to send some traffic to them. That will help those older posts stay alive and perform better in search engines. We can create some level of interlinking through navigation menus. But we should be making sure that we are using text based navigation links to get most benefit of internal linking on search engine front. And if your blog or website has image based navigation links, should convert them into text for better search engine rankings by creating keyword based internal links. Most of blogging CMS gives tag creation facility. So it’s a good habit to tag our posts with relevant keywords. Suppose I have created some posts around link building on my blog and I go on adding the link building tag to all those posts. 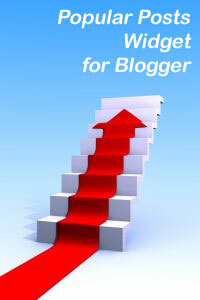 Readers of my blog can go through all posts created around link building via that tag. And I’m able to create lots of internal links via this process for my blog-targeted pages. It’s a good idea to create a post around the first day of every month containing list of all blog posts published during last month in different categories on our blog. By doing this, we will be making sure that all posts in our blog have one internal link at least. This blog seems to be trustful, that help me to improve my blog. Thank you !!!! !